Jeremiah 47-48 is part of a set of prophecies against the nations (chapters 46-51). God is not only the God and judge of Israel but also the God and judge of all nations. Jeremiah 47 concerns the Philistines and Jeremiah 48 is directed toward the nation of Moab. Revelation 20 is about the final things: Christ’s Return, Final Judgement, Resurrection, and Eternal Kingdom. What to do about the 1,000 years in verses 1-7? There are three views depending upon if one takes 1,000 years as literal years or sees 1,000 years as metaphorically referring to a long time: Amillennial, Premillenial, Postmillenial. If you wish to know more about these I suggest you google those terms. Basically, Revelation 20 assures us that God wins and triumphs over all evil; Satan is judged and utterly defeated, never to rise up again and all who refused to believe in God and the Lord Jesus are defeated. 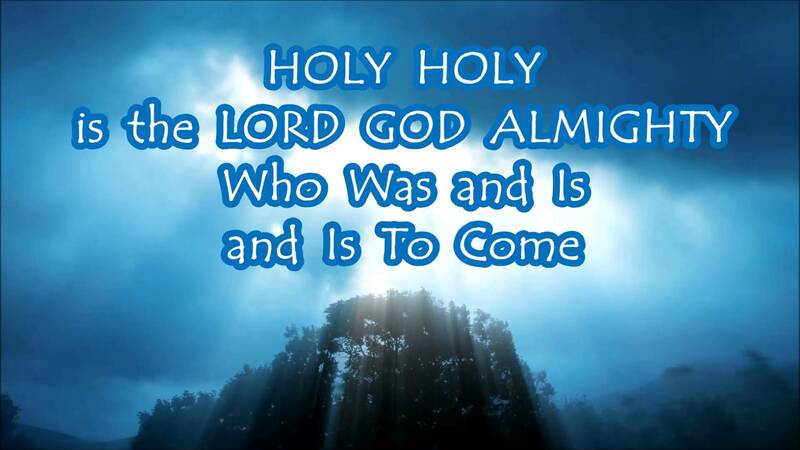 The great, good news of what this means is found in Chapters 21 and 22, the conclusion to Revelation and the Bible. Psalm 119 ends with verses 169-176. The Psalmist is a person of faith who praises God and realizes that God is the judge of all and the author of salvation. He makes a plea to be heard by God in verses 169-170. I think we all can identify with crying out to God in a difficult time. Next he asks for God’s help, life, and presence. Even though he has “strayed like a lost sheep” he knows that God still cares for him. Isn’t it good to know, that even though God is the judge of all nations and all people, the Lord seeks us out, hears our cries, delivers us, and plans for our salvation. Live in and enjoy God’s presence this day. Jeremiah 45-46: Baruch is Jeremiah’s longtime scribe who has written down all the struggles and judgments. Now, Baruch is discouraged because of this arduous task. He’s worn out from the effort. God’s message to Baruch was about faith in the midst of judgment. Baruch discouragement was because the realities of judgment conflicted with his personal desire of greatness. God’s message directly to Baruch was not to seek great things for himself. This leads into Ch. 46 where Egypt is the first nation receiving judgment. Reading through this we are reminded of the things truly important to God…(1) God’s love is for all people and he is most focused on relationship with his children; (2) there is no delight in judgment by God – salvation is God’s primary motivation; (3) Tolerating sin is not in God’s character because he is holy; (4) justice and fairness is the standard in God’s impartial nature. Proverbs 6: Consistency is the hallmark of the God we worship…consistency in the way he loves us and, consistency in the things he hates…haughty or prideful eyes; a lying tongue; hands that kill the innocent; a heart that plots evil; eagerness to do wrong; liars; one who is intent on discord among friends and/or family. Included in the chapter are issues of laziness and not listening to parents and lust. These are the things to avoid as they are the things that strain any relationship, let alone a relationship with the God who was made real in Jesus. Revelation 19: What an opening to this chapter…Hallelujah!!! Compared with the past few chapters in Revelation, we now see heaven’s perspective – a perspective that is the polar opposite of the Babylon imagery. The chapter brings us new hope – hope in the sure and certain return of Jesus – the one who came to serve and save will soon fulfill the promise to those who not just believe in him…but, trust in him. Gone is the gloom and doom…you can almost see the tears. From darkness we are presented with brilliant light!!. Reflection: There are many struggles today as we all know. The hate, anger and violence seem to overwhelm us. On the other side of the coin are those who live in a fantasy world of never wanting to deal with the realities of life itself. I think our overall message today comes across in all of our readings but, maybe as a focal point I will submit to you the message of contemporary significance found in Jeremiah. I know many who want to blame God for the troubles of our world. I know many who look up to heaven and shake their fist and ask why God doesn’t do something to change the course of history. God’s message to Baruch was simple…stop being selfish! Baruch had taken his eyes off of God and was thinking of the rewards he thought he deserved. When we are more focused on the things we want – code for taking our eyes off of the God of all creation and how he is still moving and acting within his creation, the more frustrated we will be. I thought about this today as I was voting. Tari and I decided to vote early today and a little exercise with a nearly 4 mile walk. 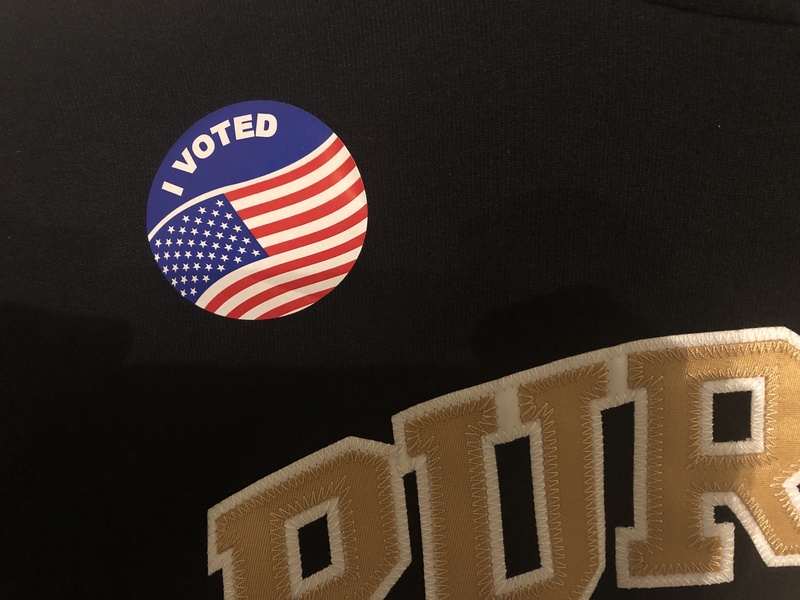 As I looked at the election ballot, my first thoughts were about how something has to change in this messed up state we live in (and our country as well). Then…a certain calm came over me and I thought to myself how God may be working and moving in and among the people on this ballot. Then I realized…you know Dale, God will work in and through how you and the millions vote. And so, I cast my votes. Stay focused my friends on the ultimate prize – the Hallelujah we will one day shout out as we stand with the one who has won the battle – Jesus. In the meantime, try to focus and look for God’s purposes…keep your eyes on him – it’s the only REAL vote!! Last night Confirmation and Youth Group were filled with sugar highs and the kids basically bouncing off the walls. The Halloween candy plus the soda vending machines proved to be a dangerous combination. I spent far more time saying “Guys, listen!” than I would have liked. But the kids were squirrelly. They paced all night, talked out of turn, and were just in rare form. And that was just confirmation! Come Youth Group we hoped to calm them down by doing team relay races–use that energy for team building and athleticism! Amiright? Well, it settled them down enough to get through our awesome testimony and then they were right back to being squirrelly during small group. Now, what in the world do my energetic and attention lacking teens have to do with today’s readings? My teens are acting like the Israeli people. God is sending prophets, His word, and even His presence to the Jewish people and they ignore Him. These people do what they want because they are lacking foresight and don’t fully understand that God wants to protect them and love them–much like my kids think I’m just talking to talk sometimes. In the Jeremiah passage we see God speaking through Jeremiah and telling the people that He has repeatedly ask the people to not do something (go to Egypt, burn incense, worship false gods) and they do not listen. So, God let’s the consequences of their actions fall. He tells them “Those who escape the sword and return to the land of Judah form Egypt will be very few. Then the whole remnant of Judah who came to live in Egypt will know whose word will stand–mine or theirs.” (Jeremiah 44:28). There is a reason the Word of the Lord stands. It’s because His word is life giving! In the Psalm we see David acknowledging this truth because he says a few times that the peace of the law is with him and he treasures them deeply. Why would he treasure them if he they weren’t life giving? The final rock bottom of not listening to God comes in the Revelation passage. Babylon is doomed and destroyed. The same goes with the law of the Lord. Yes, Jesus fulfilled the Law. We re given the free gift of Grace and Salvation. This is not a free pass though to just do as we please–what we think is “fun.” The rules of God are put in place to protect us! How many times has gossip hurt you or someone you love in the long run? How many times has speaking slanderously about someone actually caused you to stew in that dislike and eventually feel bad about yourself? Who knows the pain of drinking too much? What about the agony of sexual sin? Brothers and sisters, listen up! It is not easy to follow the words of Christ. It is not easy to obey the rules that God has given us–and we will fail. It is in the process of trying, in understanding God’s reasoning behind His rules, that we become happier and happier with a joy that cannot be defeated by this world. God created us. He knows our inmost beings. He knows what will hurt us–the same way we as adults know what will hurt those teens if they continue to act out in one way or another. Today as you meditate on this I pray your heart is open to an area of your life that God wants you to work on with Him. I pray you listen to Him. PS: Last night wasn’t all awful. Join me in a good laugh and take a look at one of our teens dressed up for Halloween–in my Trunk n Treat onesie. Oh boy. Wisdom – it has been the subject of our Wednesday evening Men’s Discussion Group and Proverbs provides point-counterpoint kind of look at wisdom. Specifically, wisdom, in the context of humankind…some have it and others do not. Wisdom is not simply knowledge. I am sure you have known one or two individuals who are very intelligent but are not very wise. We get a biblical understanding of this in Genesis…in the garden. God told Adam and Eve, “And the Lord God commanded the man, “You may freely eat of every tree of the garden; but of the tree of the knowledge of good and evil you shall not eat, for in the day that you eat of it you shall die.” The tree of the knowledge of good and evil. It was not called the tree of wisdom. Wisdom, from the perspective of God is an entirely different matter. The Bible teaches us many things and one of its most foundational teachings is that God is all-wise. There are so many wonderful passages but the one I think brings this idea of God as Wisdom home today comes from the conclusion of Paul’s letter to the Romans in Ch. 16 (vv 25-27): Now to God who is able to strengthen you according to my gospel and the proclamation of Jesus Christ, according to the revelation of the mystery that was kept secret for long ages but is now disclosed, and through the prophetic writings is made known to all the Gentiles, according to the command of the eternal God, to bring about the obedience of faith—to the only wise God, through Jesus Christ, to whom be the glory forever! Amen. Reflection: Now, what’s the point here? Well, there was another tree in the Garden of Eden, remember? If not, here is a quick link to Genesis 2. 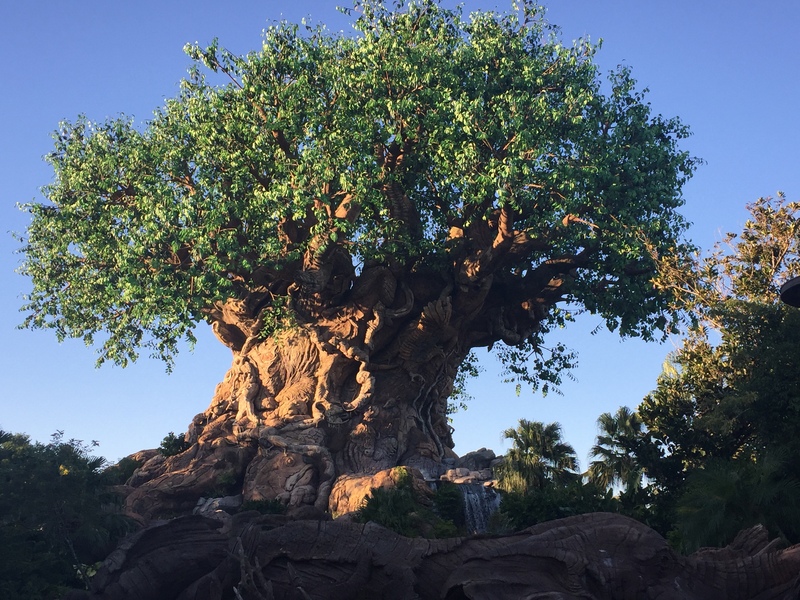 The second tree is called the Tree of Life!. Today, far too many Christians desire wisdom but their source is all wrong – not unlike Adam and Eve. It’s easy to get lulled into the flashy sparkly stuff. I encourage you to seek one source, the true source of wisdom – the Tree of Life every day. 10/31 Jeremiah 47-48 Psalm 119:169-176 Revelation 20 Craig H.
11/1 Jeremiah 49-50 Proverbs 7 Revelation 21 Craig R.
These verses in Psalm 119 continue to show the author’s faith in the Lord. The author knows without a doubt that the One True God can deliver him (or her) from those who are persecuting him. He knows without a doubt that the Lord will pass his judgment on those who do evil, but He will redeem those who have been faithful to His word. God will do all of this because of His love for us, and because His laws, no matter the time or situation, are eternal and ever true. This chapter relates perfectly to the verses from the Psalms because it is an example of how God’s judgment will be doled out to those who are faithless and do evil. Some of this sounds familiar to me, at least, because it reminds me of the 10 plagues that were sent to Egypt in the time of Israeli slavery. Those who have turned from God and who do not believe in His almighty power will see just how powerful He actually is. People will be covered in horrible sores, water turned to blood, rivers dried up, intense heat, darkness, and the most powerful earthquake ever experienced in human existence. All of that sounds horrifying and makes me glad and relieved to know that I am on the right side of the law on this one. Heavenly father, I am so thankful to have you in my life. I know that I can trust in you to lead the way for me through times of challenge and times of good. Although at times, my faith may falter, I will always find my way back to you, knowing you will welcome me with open arms. Jeremiah 37-38: This is a well known slice of the prophet Jeremiahs life. King Zedekiah has rejected the warnings of Jehovah through Jeremiah and yet still has Jeremiah pray for him. Verse 3 “Please pray to the LORD our God on our behalf.” How very strange, yet not so strange as to not want to heed the word of God, or the statutes of God, or the instructions, or warnings, but to also want the blessings of God. We see it in our world today, on a national level the politicians do whatever they choose, and then say, “ God bless America.” We see it in our work place, at schools, at the local church house, everywhere man dwells. In essence we want the reward without the dedication, the payout with out the work, the medal without competing, the good grade without the study. So it ends up the bad guys throw Jeremiah into an empty cistern or well, where he is stuck at the bottom in some really thick, deep, miry clay. A point of interest is that wells are not just dug, but built. A deep hole is dug then it is lined with bricks and stone starting at the bottom and built up being lined with impervious clay so as not to leak. The very bottom is left pretty much alone for the ground water, or spring to fill it up. After time it can go dry yet the bottom stays moist and muddy for some time. It is here that Jeremiah is stuck, possibly up to his waist. Then the Ethiopian Ebed-melech seeks the king to rescue Jeremiah, to lift his feet from the miry clay. Ebed sends old clothes down for Jeremiah to protect himself from the rope being used to pull him out, knowing what effort it will take to dislodge him from the clay. The greater picture is that it is not an easy thing to do. Love, protection, redemption is costly, there is great effort required to rescue sometimes. 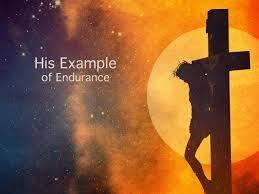 Just look at the cost of our redemption from sin by our Savior Jesus, in his suffering and death and resurrection. Proverbs 4: continues this idea with the emphasis on wisdom. It is a wise to avoid the path of the wicked, to follow fools is of no gain, there are those who cannot sleep until they cause someone else to stumble. In the passage from Jeremiah, King Zedekiah was that man who refused wisdom, who viewed Jehovah as a foolish god who could be manipulated. I get to do what I want then have a good man pray for me. This is the way of the foolish man. Jehovah wants us to humble ourselves to His will, sek His wisdom, and lives Godly lives free from all evil. Revelation 15: As John continues his vision he sees a sea of glass and fire, and those who were victorious over the beast during the tribulation were standing on it, singing the song of Moses, and the song of the Lamb. The indication here is both Jew and gentile are present. They are united in their worship and adoration of Jehovah who has brought them out of great turmoil. Review: Jeremiah is instructed to serve wine to the Rechabites’ (35:1-5)…They refuse it (35:6)…Furthermore, their ancestral father had previously commanded them to have nothing to do with the “fruit of the vine” (35:7-10)…The Rechabites’ moved to walled Jerusalem to seek safety from invading Chaldeans and Syrians (35:11)…Rechabite obedience to their father’s commands is contrasted to Judah’s disobedience towards their Father’s commands (35:12-19)…Jeremiah tells Baruch to go to the Temple and read from a scroll the complaints of God against Judah (36:1-10)…The hierarchy, and everyone else, assembled hears Baruch and it is reported to King Jehoiakin (36:11-16)…Jehoiakin obtains the scroll and destroys it by way of fire (36:17-26)…Upon hearing of his destroyed work, Jeremiah reconstructs it (36:27-28) and informs Jehoiakin that he and his will be severely punished for his actions (36:29-32). Review: Free wine (35:1-5) is most certainly a temptation (cp. Gen. 3:1-6, Jud. 16, Josh. 7, 2 Sam. 11, Prov. 7)…The unswerving obedience of the Rechabites’ to their ancestors oath (35:6-10) result in blessings (35:18-19)…Meanwhile “back at the ranch,” Israel has continually refused to abide by the promise of its ancestors (cp. Ex. 19:1-8)…In the OT, disobedience results in judgement (35:17)…Temptation has been successfully resisted in the past (Gen. 14:17-24, 39:1-12, 2 Kings 5:1-19, Luke 4:1-13, Acts 8:14-25)…Whatever Baruch read was done 4 times (36:10) to make it clear to everyone who cared to know…Jehoiakin’s attempt to eradicate God’s Word is symbolic of his attempt to eradicate God Himself from Judah’s society…The examples of the same in our society are plentiful…Jeremiah’s rewriting demonstrates the endurance of God’s Word and also of God Himself…His rewriting with additions (36:32) gives insight into how Jeremiah wrote his book. It is nearly equal parts pertaining to the time in which he lived through and the subjects of his concerns (foreign threats, Judah and its leaders stupidity, and so on)…This makes his writing disjointed…Not unlike my own! In Jeremiah we once again see the promise of God to bring his people back and restore Israel. Then we read about what happens when the leaders and the people refuse to follow God’s way of life. After many opportunities to repent and change and come back to the Lord, when there is no change, finally God punishes them. In Proverbs wisdom is always something that comes from God. “Trust in the Lord with all your heart and lean not on your own understanding; in all your ways submit to him, and he will make your paths straight” (Prov. 3:5-6). These are much loved and often memorized verses that encourage us to be in relationship with the Lord. Now for Revelation 13. Basically this chapter is a call for “patient endurance and faithfulness” for the followers of Christ in a time of terrible persecution. Christians in the seven churches in Asia Minor are being persecuted during the reign of the Roman Emperor Domitian. The book of Revelation reminds us that the worst things are not the final things in life. Although followers of Christ Jesus, The Lamb, do suffer; in the end God will deliver, reclaim, restore, save, and resurrect his people, all whose names are written in “the Lamb’s book of life.” No one can take a name away from the Lamb. Paul puts it this way in Romans 8, Nothing “will be able to separate us from the love of God in Christ Jesus our Lord.” John, who is exiled on the island of Patmos, a Roman penal colony, is encouraging the members of the seven churches to endure in Christ. May we all know the enduring power of Christ Jesus this day and always. 13:1-10 A beast rising out of the sea represents persecuting power, especially the power of a demonized state. 13:2 leopard . . . bear’s . . . lion’s. This beast combines features from the four beasts of Dan. 7:1–8, 17–27, which represent idolatrous kingdoms. This beast in Revelation must be a worldly kingdom summing up all of them. In this way the state persecutions of Daniel and his friends suggest the nature of the persecution that the seven churches must face from the Roman state—and possibly persecutions of later ages. 13:7 war on the saints. The beast compels worship (v. 8), and when the saints refuse to submit, they are martyred. But despite their apparent defeat, martyrs enjoy victory with Christ both immediately (6:9–11) and when their prayers for the final defeat of the beast are answered (19:11–21). 13:11-18 The beast from the earth, also called the false prophet (16:13; 19:20; 20:10), functions as a propagandist for the beast. His actions counterfeit the witness of the Holy Spirit. In first-century Asia Minor, the main propagandists would have been priests of the emperor cult and the “Commune of Asia,” a council of distinguished city representatives promoting loyalty to the emperor. In modern times as well, totalitarianism enlists propagandists. Just before the Second Coming, counterfeit miracles will accompany the appearance of the “man of lawlessness” (2 Thess. 2:3, 9). The false prophet embodies a repeatable pattern. 13:16 The mark of the beast is a counterfeit for the seal of God’s name on the saints (7:2–8; 14:1; Ezek. 9). The beast owns those who are marked, and they are his slaves (14:9; 19:20; 20:4). Speculations about a visible mark miss the main point of the spiritual distinction between the two groups. 13:18 666. By the time of Domitian, the earlier emperor Nero had become a traditional antichrist figure, and 666 was probably already known to be the numerical value associated with the name Nero Caesar in Hebrew. The number then designates either Nero himself (who was to rise from the dead and lead an invasion against Rome according to a widespread belief during Domitian’s reign) or a later figure imitating Nero’s godlessness. Many have tried to identify the final Antichrist on the basis of the number, but its connections with Nero may well be its only significance (see text note). We need to be always watchful for Christ’s coming, without falling into trying to set dates (Matt. 24:36–51). Jeremiah 31-32: God assured the Northern Kingdom that He will restore her. Those who had survived the sword will yet experience God’s favor as He leads them into the desert for their new Exodus. Jeremiah provides 3 word pictures showing God’s restoration of Israel. He begins with renewed joy and equates it with taking up her tambourines and dancing with joy! Second, there will be a time of peace and prosperity and he shows this through the planting of vineyards on the hills of Samaria – the threat will be over as they are able to enjoy the fruit. Last, Jeremiah provides that there will be a time of renewed commitment to the Lord in his words “go up to Zion” to worship the Lord. This future provides hope. Jeremiah provides a time frame for this disclosure at the beginning of Ch. 32. Ch. 32 is interesting because you don’t know the reason for purchasing the land until you get to the end…the documents of purchase were told to be placed in a clay jar – the reason is to preserve them. They had to last a long time as it would still be many years before the people returned from captivity and claim their land. Jeremiah buying the land and preserving the bill of sale was to show that houses, fields and vineyards would one day again be bought by the people of Israel. Psalm 119:137-144: Here, the psalmist simply declares that because the Lord is righteous, His Word is also righteous. The psalmist is testifying his own passion for God’s Word and the promise of comfort he finds in times of difficulty. Revelation 12: Deciphering the symbols of Revelation takes a great deal of time and much more space than we have at this time – a great majority of scholars believe the symbol of the woman, the child and the dragon points to the birth of Christ and I agree. Revelation is a book of promise and hope that is more important, I believe, than the symbols. A good study Bible will attempt to describe the symbols if desired, but I really believe that the promise of Revelation is really rather simple – we humans must rest in the comfort of a God who promises that he is on our side no matter the time or difficulty or age – we call this hope!! Trusting in the promise that good wins over evil! Reflection: The Bible is replete with imagery that is often dramatic like in Revelation or subtle like in our Psalm or Jeremiah today. Please remember that there is a common theme that weaves its way through God’s Word to us…it is a message of promise and hope. All we have to do is trust in the One who showed us who this great God is…Jesus! 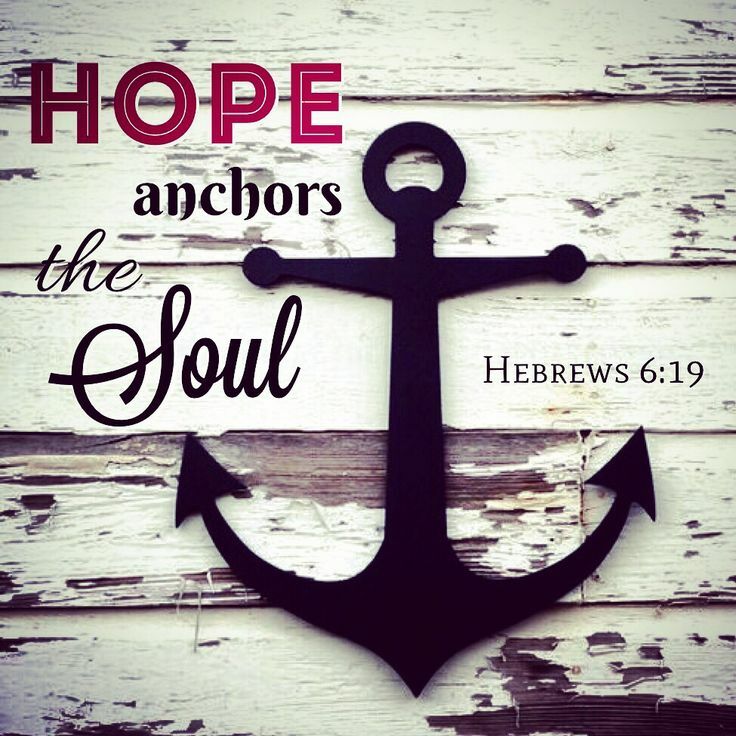 Writing this, I am reminded of Hebrews 6:13-20 – a wonderful passage of hope in the promises of God…hope that anchors the soul! !